Following the 1939 occupation of Czechoslovakia and French capitulation, more than 4,000 Czechoslovak soldiers arrived in Britain during the summer of 1940 to fight alongside the British. Refugee filmmakers Jiri Weiss and Karel Lamac captured the faces of fellow countrymen (including those stationed at Cholmondeley Castle and the 311 Squadron Coastal Command), as they undertook arduous duties and domestic work such as doing the laundry, peeling potatoes and exercising. 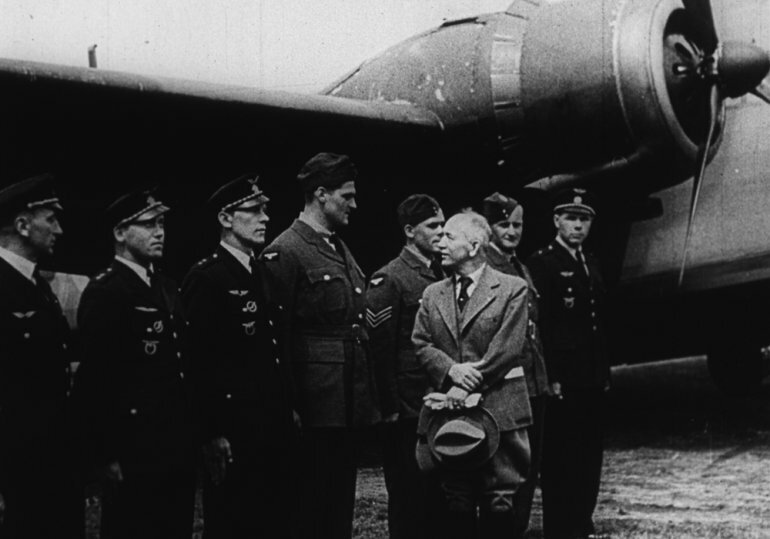 With rare footage ranging from the life of a pilot and a briefing in the operations room to humorous takes on the peculiarities of British life, the short films produced by the Czechoslovak Film Unit and Crown Film Unit are not only examples of the Ministry of Information pro-war propaganda but an important and unique testimony to those willing to sacrifice their lives in the fight for freedom. Following the screening of archive films Dr Toby Haggith, Senior Curator at the Imperial War Museum London, and Roger Darlington, author of Night Hawk: Biography of Flight Lieutenant Karel Kuttelwascher, D.F.C.and Bar, the R.A.F.’s Greatest Night Intruder Ace (1985) and Karel Kuttelwascher’s son in law, will discuss the contribution of the Czechoslovak soldiers to Britain’s war effort and the role of film propaganda. Tickets £7 (plus booking fee) via Eventbrite link below.